Congratulations to Daniel J. 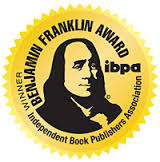 Fox and his book, Antisocial, Borderline, Narcissistic and Histrionic Workbook, for winning a gold medal at the 2016 IBPA Benjamin Franklin Awards for editorial and design excellence in the Psychology Category. Get a free worksheet from the book! It's included in Daniel J. Fox's latest post, Duty to Warn: No One Commits a Crime Without Thinking About It First, featured on the PESI blog. Download your copy here. “This rich resource assists the clinician in avoiding errors in diagnosis that can often occur when working with clients with complex symptom presentations. Dr. Fox presents the material in a straightforward, easy-to-digest, manner that can be appreciated and utilized by all practitioners. 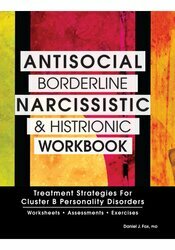 Clinicians, regardless of their training background or theoretical orientation, will find this to be an invaluable resource in the diagnosis and treatment of Cluster B personality disorders." "Personality disorders are common in clinical practice, but helpful resources are not. Dr. Fox answers the call with a workbook that will deepen your understanding of the assessment and treatment of Cluster B personalities, with a dedicated emphasis on handouts and worksheets that guide therapy and provide a catalyst for change. Enthusiastically recommended!"